I often look back longingly at photos of my girls as babies. They were (and still are) a pure joy. I miss those sweet and tender moments of holding them in my arms and rocking them to sleep. Then I remember the sleepless nights and most of all the mess. I swear I could never keep my house clean for more than 5 minutes back then. Toys everywhere and meal time chaos. I guess the mess goes with being a mom with a young baby. One thing I don’t miss is wiping food off the kitchen walls! 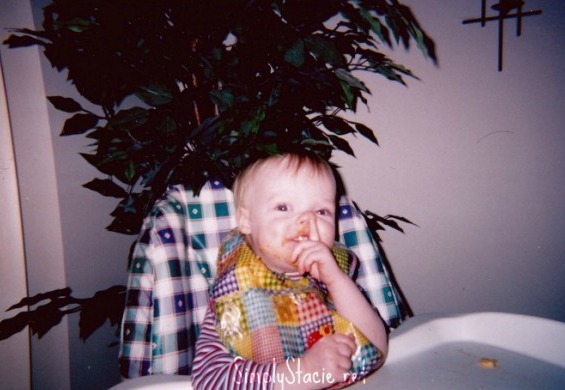 Bridget loved eating applesauce in disposable pouches. I wanted her to learn to eat independently so I let her snack on them in the high chair with a bib. They are notoriously messy though. She got a little too squeeze happy and there was more applesauce on her and the highchair than actually in her mouth. 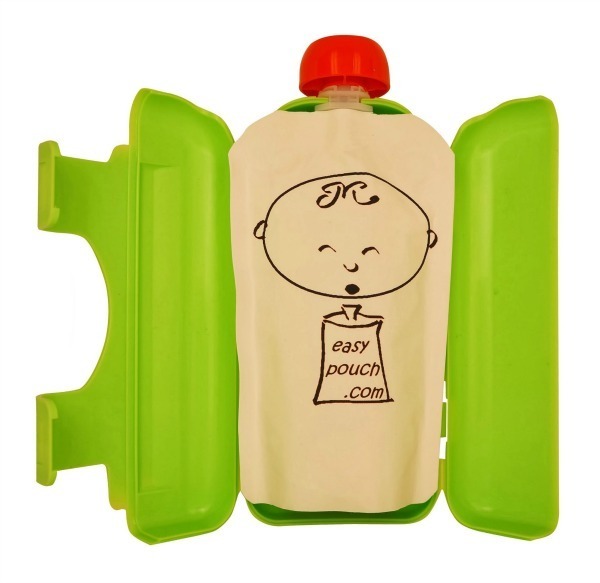 I was excited to learn about EasyPouch: the No Squeeze, No Mess, baby food pouch feeder. 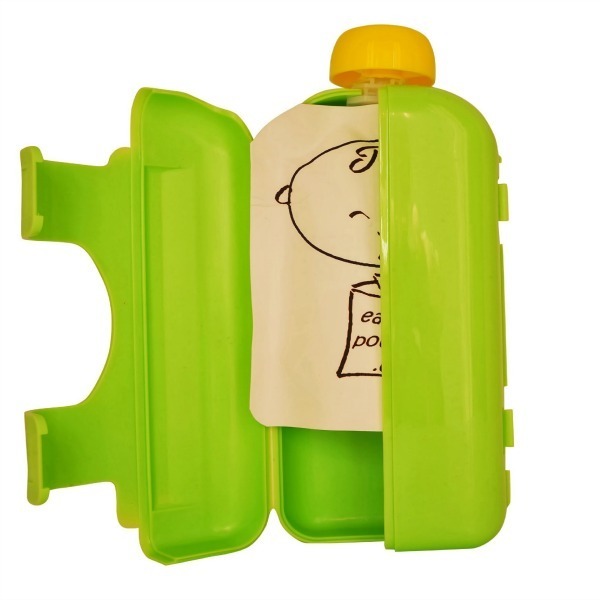 It was designed for use with both large and small disposable food pouches. When your baby is learning to eat independently, pop a disposable food pouch inside an EasyPouch and don’t worry about the mess. I love products that make meal times a little easier. Each order comes with two EasyPouches. I would keep one in the kitchen for meals and the other in the diaper bag for snacks-on-the-go. Then there is always one conveniently in reach when you need it. 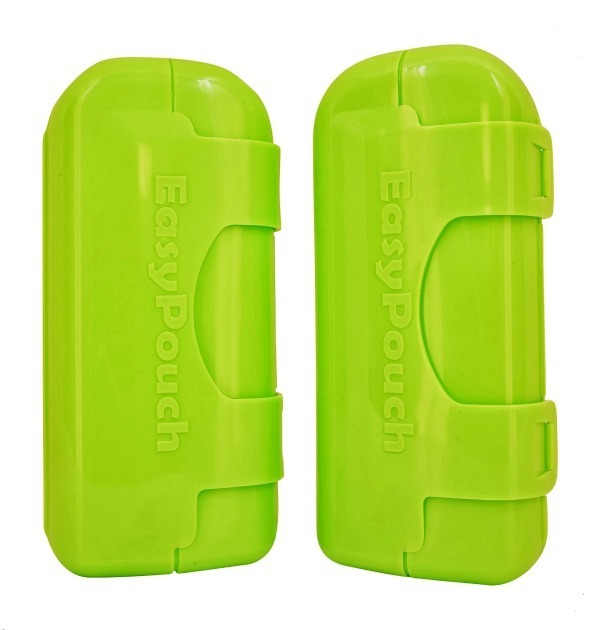 The EasyPouch has child resistant latches, but is still easy for parents to open. It has slots on the back to attach a tether onto a stroller or highchair. The recommended age is 9 months+ and you can purchase an EasyPouch through Amazon. If you have a child that is entering the fun self-feeding stage, try an EasyPouch and make meal times a little less messy! This is a sponsored conversation written by me on behalf of EasyPouch. The opinions and text are all mine.